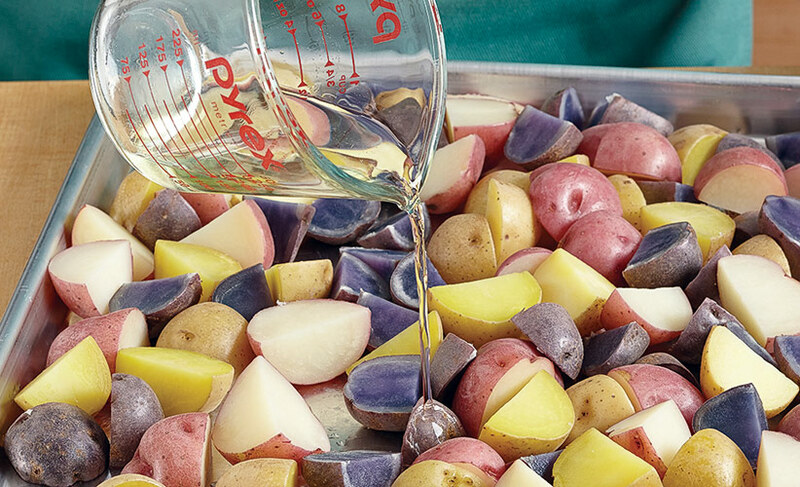 When you grow your own potatoes in a rainbow of colors, there’s no better way to show them off — and enjoy their flavor — than in a delicious potato salad recipe. This one is perfect on hot summer days because it doesn’t use mayo. Mmm... homegrown potatoes. It’s hard to describe how much better these are fresh until you try them for yourself. 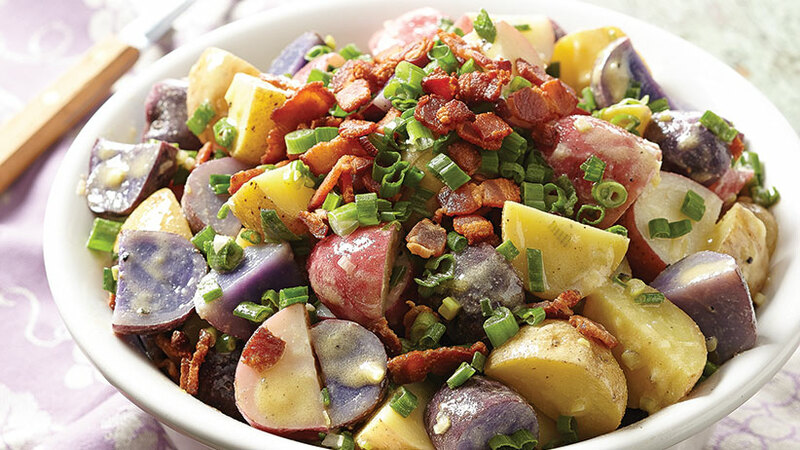 And what better way to show off the different colors and flavors you pull from your garden than this tricolor potato salad recipe? Skip mayo-based potato salad for this one with a tangy dressing. It fares much better in warm weather and really lets those beautiful potato colors shine. Cook bacon in a skillet until crisp; transfer to a paper-towel-lined plate. Whisk together oil, vinegar, Dijon, and scallion whites for the vinaigrette; season with salt and pepper. Place quartered potatoes in a pot of cold salted water, cover, and bring to a boil. Remove lid and boil potatoes until fork-tender, 5–6 minutes. Drain potatoes and arrange in a single layer on a baking sheet. Pour wine over warm potatoes and toss. Let potatoes cool to room temperature, 15–20 minutes. Gently stir together potatoes, bacon, vinaigrette, and scallion greens; season with salt and pepper. Learn how to save tomato seeds with our simple fermentation process.